The Unc0ver iPA Jailbreak has been updated to 3.0.0. 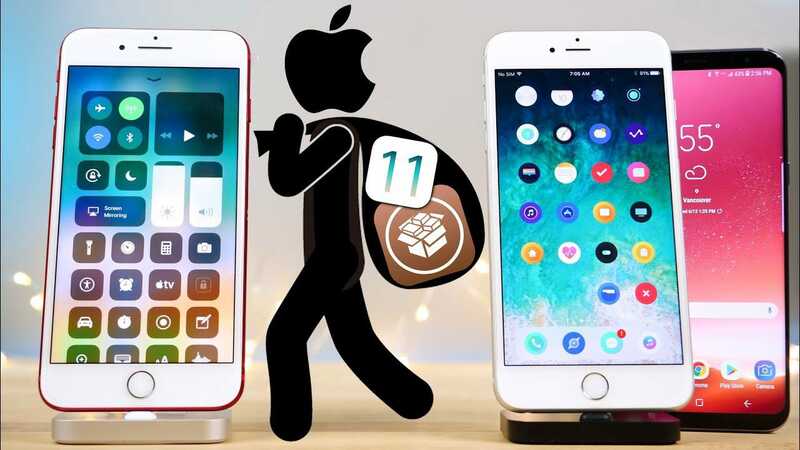 It can now jailbreak the iOS 11.4.1 running on iPhone, iPad and iPod for both 32 and 64bit devices. Here I will share with you the latest Uncover 3.0.0 Jailbreak ipa file which you can install on your phone to jailbreak it. It works with iOS 11 up to iOS 11.4.1 running devices. With every update, iOS is improving and its hard to find any exploit to jailbreak it, and that is why developers are taking so long to release their jailbreak tools. And this has also made a huge gap between the latest iOS version and the lower last iOS version that can be jailbroken. Because most of the devices are already on iOS 12 and only a less part of devices which are still on iOS 11 can be jailbreak. The latest verison of Unc0ver ipa jailbreak can now be used to jailbreak iOS 11.4.1 running devices. You can follow the instructions here to jailbreak your phone. It’s a semi untethered jailbreak. Meanwhile, Electra Jailbreak has also been updated for iOS 11.4.1 jailbreak capability, so it is upto you which one you wanna use. Download Unc0ver 3.0.0 ipa file from above download link. Note: Make sure to delete any iOS 12 ota update available on your device. Connect your iPhone, iPad or iPod to the computer. Drag uncover IPA jailbreak file on to cydia impactor. Unc0ver iOS 11.4.1 Jailbreak will now start installing on your phone. When it finishes, disconnect your phone from the computer. On your phone, Go to Settings>>General>>Profiles & Device Management. Here trust the profile on newly installed Uncover jailbreak app. Turn off any internet (WiFi or Sim Data) on your phone. Tap on the jailbreak option. Your phone will now be jailbroken within a moment. It may restart. If jailbreak fails, then launch the app again and tap on jailbreak until it jailbreaks the device. Using above instructions to use Unc0ver iPA jailreak, you can jailbreak iOS 11.4.1 on iPhone, iPad and iPod. Drop down comments for any problem you are facing.